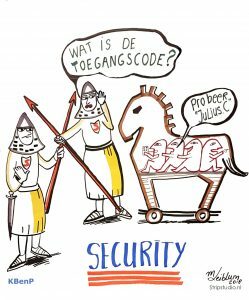 Live illustration made at Event organised by BPenK zaakgericht werken in 2017 for business software. 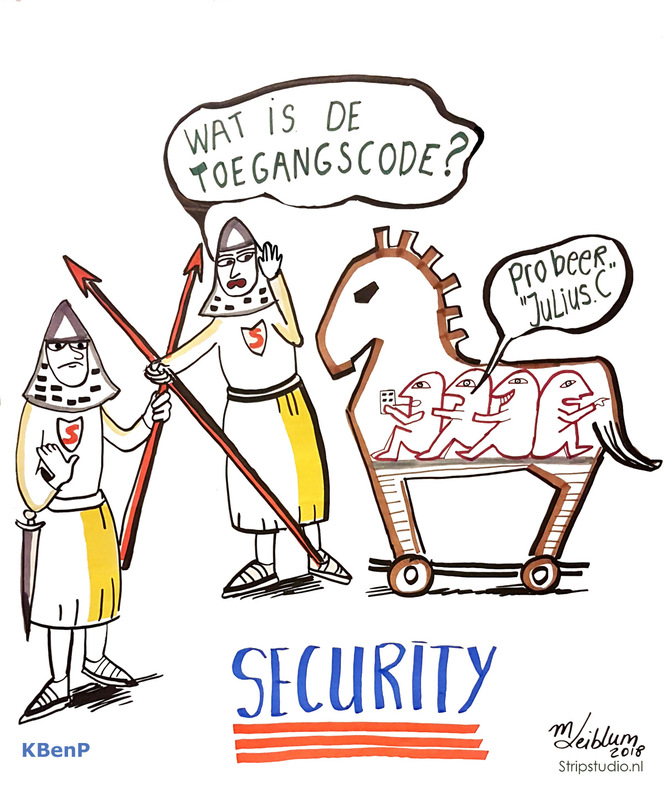 The illustration shows two roman gate watchers asking the trojan horse (virus) what’s the access code? (try Julius C). Theme was how to promote online safety but stay user friendly.